In a statement issued today by his Special Assistant on Media, Kehinde Aderemi, the four-day event will hold between January 10 and 13 next year, with various activities scheduled for the anniversary. A traditional title that has endured for 588 years is no ordinary. The long years of interregnum for the position were not unexpected. It really shows the uniqueness of the stool in Yoruba history. So, celebration of my installation anniversary will be an annual event, therefore, I am using the maiden edition of the programme as an opportunity to appreciate some prominent Yoruba sons and daughters, particularly, from the southwest for their roles in projecting the race to the world. I have a well- thought out plans, projects, and programmes for this year event. The 14 people that made the list were selected across the south west zone, after a long and rigorous process by the anniversary planning committee, who are made up of technocrats, researchers and professionals. For instance, some of the titles are not new. Those titles will be conferred on people of diverse background, among who are professors, culture activist, media guru, top business men and women and legal luminaries. As far as I know, the office of the Aare Onakakanfo of Yorubaland is an institution, with prominence and rich background in Yoruba history. Therefore, it must be celebrated and put in its pride of place”. Aare Gani Adams, said. A member of the planning committee, Dr. Abiola Ayankunbi, said : “Given the charisma, status and position of the Aare Onakakanfo of Yorubaland, Iba Gani Abiodun Ige Adams, we are considering so many things, just to make the first anniversary a big success. The event will run for four days, with different activities, and we are expecting dignitaries from across the world to be part of the programme. There will also be a Thanksgiving services in the Mosque, Church and the traditionalist will be involved. 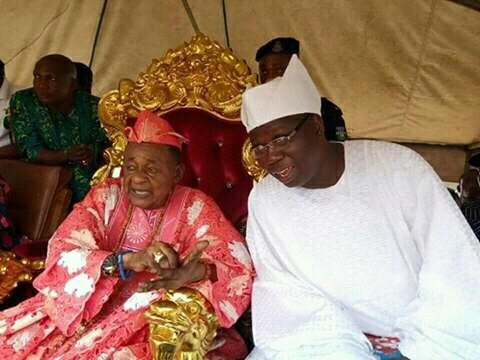 Adams, was installed the 15th Aare Onakakanfo of Yorubaland on Saturday January 13, at a very elaborate event held at the Durbar stadium in Oyo .